You would think the biggest hurdle for a home seller or selling agent is finding the buyer who will pay list price. True, that’s a big one, but just as important is making sure the home is worth the list price. The listing agent performs a careful pricing analysis, but the agent's numbers don't tell the whole story. Enter the appraiser. An appraiser is hired by the buyer’s lender after a sales price is agreed upon, to develop an opinion of a home’s value, based on the home’s current condition, location and comparable properties. What an appraisal number is not determined by is the selling price. An appraiser doesn’t really care what a buyer is willing to pay. An appraiser and a lender care about the home’s worth in the present market, in case a buyer defaults and the bank gets stuck reselling the property. An appraiser and a listing agent often are not considering the exact same data when determining a home's value. So what do buyers and sellers do when the numbers don’t add up? If an appraisal comes in lower than the contracted sales price, (which is more common following the real estate lending crisis), there are two options: the seller can reduce the home’s sales price to the appraised value, or the buyer can agree to come up with more cash to make the deal work. A lender will limit a buyer’s loan amount to the home’s appraised value. What if a seller does not agree with an appraisal? There are remedies. Appraisers are not infallible, and sellers have the right to challenge appraisals if they can prove inaccuracies. Homeowners must be careful, though, for mere opinions are not grounds to upturn appraisals. 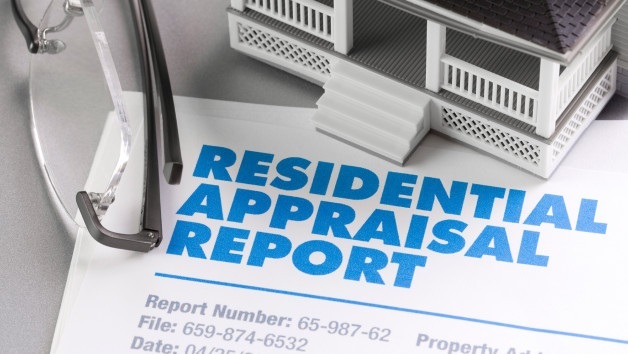 Appraisers have to back up their opinions of value with real data that would stand up in court, and homeowners should be prepared to employ the same standard. If you’re wondering if a home seller or listing agent can do anything to fortify an appraisal, the answer is YES! A seller or listing agent should present an appraiser with an inventory of all the home improvements made within the previous five years, complete with receipts, if possible. Remember, routine maintenance does not count. An appraiser is not required to use such an inventory, but if he or she chooses to, the information can improve a home’s appraised value. For example, if a seller has updated or renovated his or her home in the last few years, a detailed list of improvements may make the home stand out from the comparable properties that merely have the same square footage and room configuration, but no improvements. A great tip for any homeowner is to compile your home brag sheet now, and update it every time you make an improvement. Such 'praise' just may improve your appraisal.